In the last #LINCchat before summer break, co-moderators, @StanzaSL and @EALStories (stepping in for @nathanghall) facilitated a discussion on “Digital Citizenship”. Thank-you @JoyOfESL (Kelly) @JenArtan (Jen), @gabyG_jolie (Gaby), @DawnTorvik (Dawn), @claireshegoes (Claire), @ShawnaWiKo (Shawna), @cintiabcosta (Cintia), @AidaAganagic (Aida) and @milka_stupar (Milka) for joining us for an hour of PD. #LINCchat will take a break in July and August. Look for its return in September. 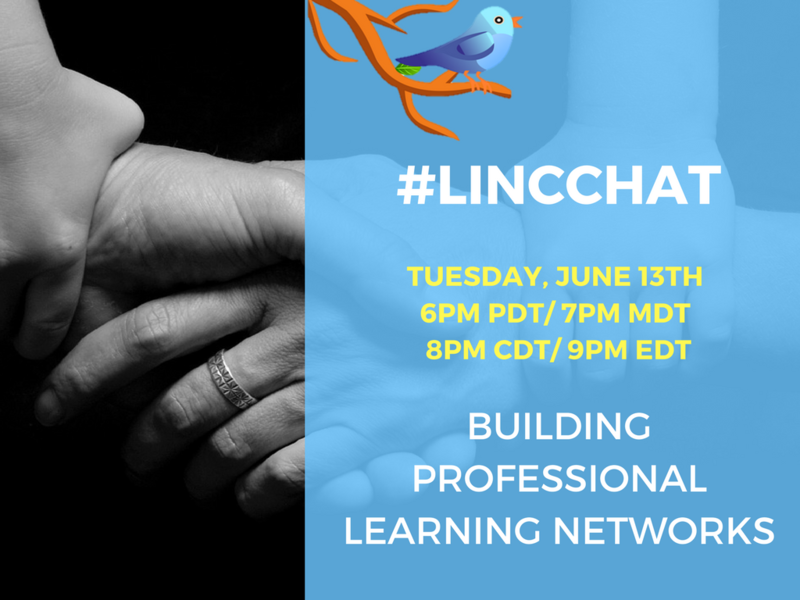 Feel free to use the #LINCchat hashtag during the summer to share thoughts and links with others. Have a great summer and see you in September! It was a fast and fun-filled #LINCchat with veteran moderator, Svetlana Lupasco (@StanzaSL) and guest moderator, Bonnie Jean Nicholas (@EALstories filling in for @nathanghall) guiding the conversation. At times it was hard to keep up, but the chat clearly confirmed the importance of “Building Professional Learning Networks”. Much gratitude goes out to the following enthusiastic #LINCchat participants from B.C. to Taiwan and everywhere in between: @ram_diane, @theHungryHost, @FBieri, @DawnTorvik, @radvesna, @ambartosik, @thespreadingoak, @mattsajn, @gabyG_jolie, @seburnt, @ShawnaWiKo, @ESLlibrary, @CatherineEbert2, @motherchina, @milka_stupar, @tarabenwell and @jennifermchow. Please accept my apologies if I missed you! To read the summary, hover over the Twitter bird next to the subtopics (areas of professional learning, a professional learning network, professional learning as a daily routine, being a connected educator, continuing professional development, powerful moments in professional learning and engaging colleagues in online PD) in the image below. The interactive image was made with Canva and ThingLink. If you have never participated in #LINCchat before, go to www.lincchat.ca for more information. #LINCchats occur every other Tuesday, with the occasional Friday. If you have any ideas for topics or have comments about #LINCchat, please send @StanzaSL or @EALstories a tweet or post a message on Tutela. Our next #LINCchat on Digital Citizenship will be on June 27th. Feel free to use the #LINCchat hashtag between chats to share thoughts and links with others. Hope to “see” you on June 27th! June 21 is National Aboriginal Day in Canada. To explore and extend this theme, what are ESL instructors doing to respond to Truth and Reconciliation in the language training classroom? Come share in our journey of how we are exploring ways of including Indigenous ways of knowing in TESL practices, including changes to curriculum, content, teaching, and connecting with the local Indigenous community. This was a very well received session at our recent conference, and we were very pleased to have Amy come back for our BC TEAL webinars series. “An Army of Problem Solvers” – this book was mentioned by Amy towards the end of her session. “First Peoples: Principles of Learning” – this is a poster shared by Karen Rauser. “Gradual release of responsibility” – shared by Scott Douglas. City of Vancouver “The Dialogues Project” – shared by Brenda Lohrenz. Province of British Columbia “Aboriginal Education in British Columbia” – shared by Karen Rauser. “First Peoples: Learning Materials for Newcomers” – Tutela collection shared by Nathan Hall.